We are glad to present the 2nd edition of ‘Indian History’, a book much sought after by the aspirant community for the preliminary examination. The market is already galore with books on Indian History for Civil Services Examination. On top of this, the spurt in electronic media in the recent years has left aspirants confused with loads of unsolicited study materials. With the Damocles sword of ‘time’ hanging over the head of aspirants, too much data is like venturing into a game of fire without a safety cloak. This book has been developed to address this confusion by providing the most relevant and appropriate contents in a crisp manner. We have prepared this book to cater to the needs of the preliminary examination, taking into account the current trends in UPSC examinations. 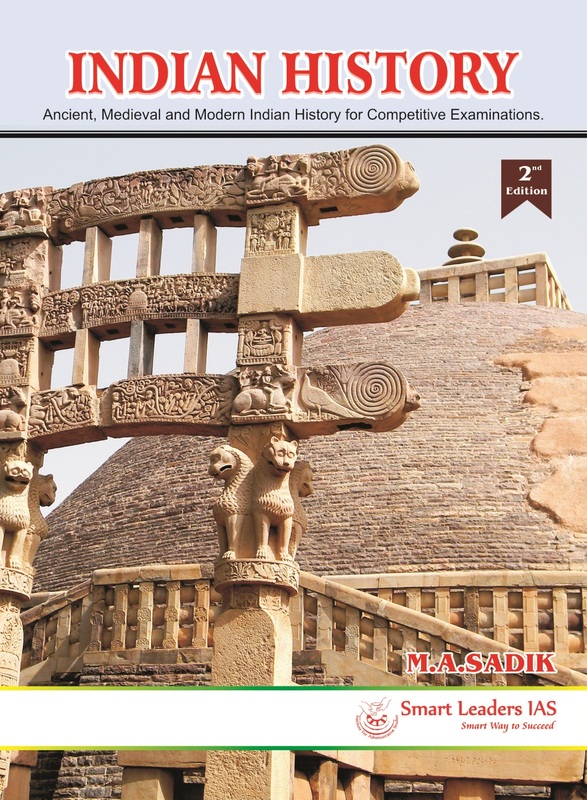 The previous edition of Indian History for Civil Services Examination was well received by the aspirant community and we had received many suggestions to enrich and enhance the content which were carefully incorporated in this edition. We thank the content team of Smart Leaders IAS for their immense contribution in the preparation of this book. Please provide us your feedback and suggestions. We will always strive to improve.